The tonfa (or police baton) was originally a wooden handle that fit into a hole on the side of a millstone used to grind rice and other grains, dating back to 15th century Okinawa. The tonfa (or police baton) was originally a wooden handle that fits into a hole on the side of a millstone used to grind rice and other grains, dating back to 15th century Okinawa. The handle, which was easily disengaged from the millstone, became a very effective weapon of defense. The Tonfa's circular movements as a farm implement evolved into its rotating strikes as a weapon. They may be used for blocks, thrusts, and strikes. In 1906, the ownership of weapons was prohibited on the Okinawan Islands by the Japanese invaders. 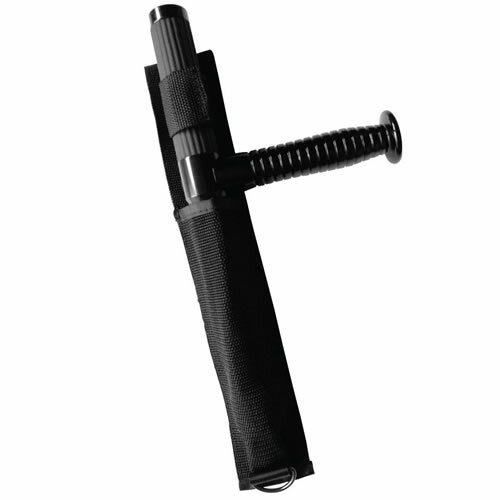 As a result, an exploration of self-defense techniques and new weapons for self-defense began. By spinning the tonfa around the short handle, tremendous striking force may be generated. 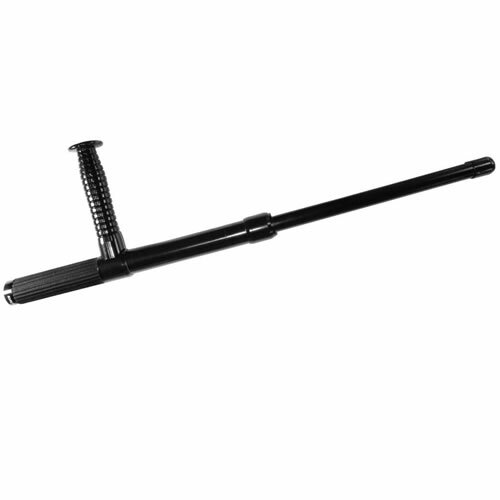 By using the long portion in conjunction with the short handle, the tonfa may be used for numerous come-a-longs and arm locks. 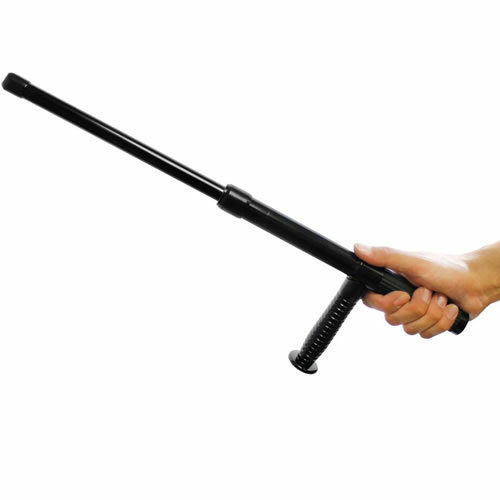 Two tonfa were often used simultaneously and were very efficient against armed assailants. The bottom of the tonfa was used for blocking, and the ends for direct punches. Continued practice with the tonfa can help improve balance, coordination and physical strength. 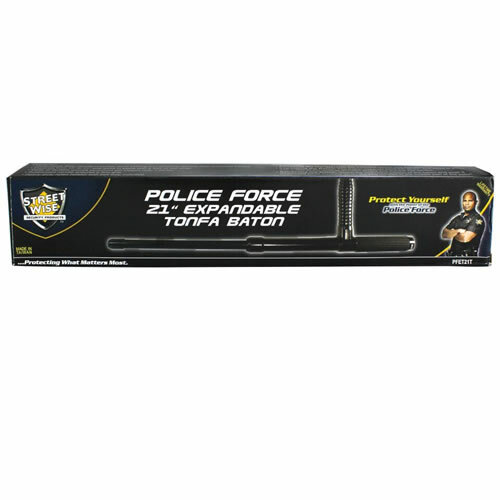 Expandable Police Side Baton Tonfa. 21 inches. Warning - Use and misuse of martial arts weapons involve serious risks, including injury, disability, or even death. Weapons are sold only for training under expert supervision, for demonstration of forms, collection or display purposes. 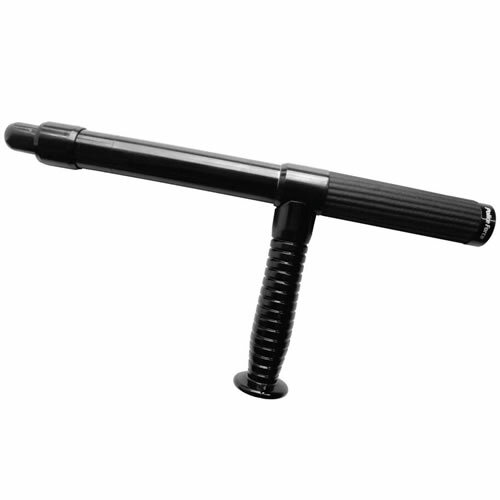 Inspect tonfa before each use to ensure they are in proper condition. Do not use weapons for full contact sparring. User assumes all risks of injury.